The LAJ Law Firm, LLC. Worldwide Syringomyelia & Chiari Task Force Selected for Global Study! 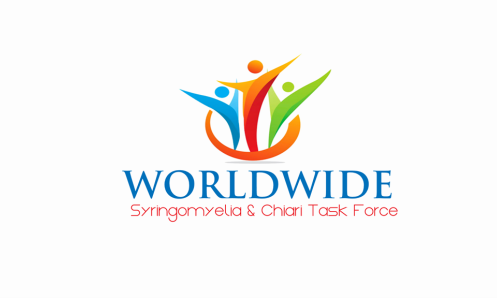 Worldwide Syringomyelia& Chiari Task Force has been chosen by the National Organization for Rare Disorders to participate for the first-ever Worldwide Natural History Study and Registry for the disease Syringomyelia and Chiari that can be accessed and used worldwide! world! We would like to thank NORD and the FDA for providing this amazing opportunity to expand and offer hope and answer unmet needs for men, women, and children all over the world," said Beth Nguyen, R.N. and CEO of the Worldwide Syringomyelia & Chiari Task Force. Syringomyelia is a disease that is identified when cysts also termed a syrinx form inside the spinal cord and expand. They are identified by a diagnostic test called an MRI. The presence and/or expansion of the cysts can cause spinal cord and spinal nerve damage that can lead to widespread symptomology, complications, and moderate to severe pain. Defined by the NIH " Chiari malformations are structural defects in the cerebellum, the part of the brain that controls balance. When the indented space at the lower rear of the skull is smaller than normal, the cerebellum and brain stem can be pushed downward. The pressure that is placed on the cerebellum can block the flow of cerebrospinal fluid (the liquid that surrounds and protects the brain and spinal cord)." Members of the media are invited to speak with Beth Nguyen, R.N. by utilizing the contact information below. Mrs. Nguyen started the Worldwide Syringomyelia & Chiari Task Force because of the struggles she encountered in her own journey. No longer able to deliver care at the bedside due to illness, Beth was determined to use her 15 years of nursing experience to advocate for men, women, and children suffering from a disease that is still not well recognized in the medical community.